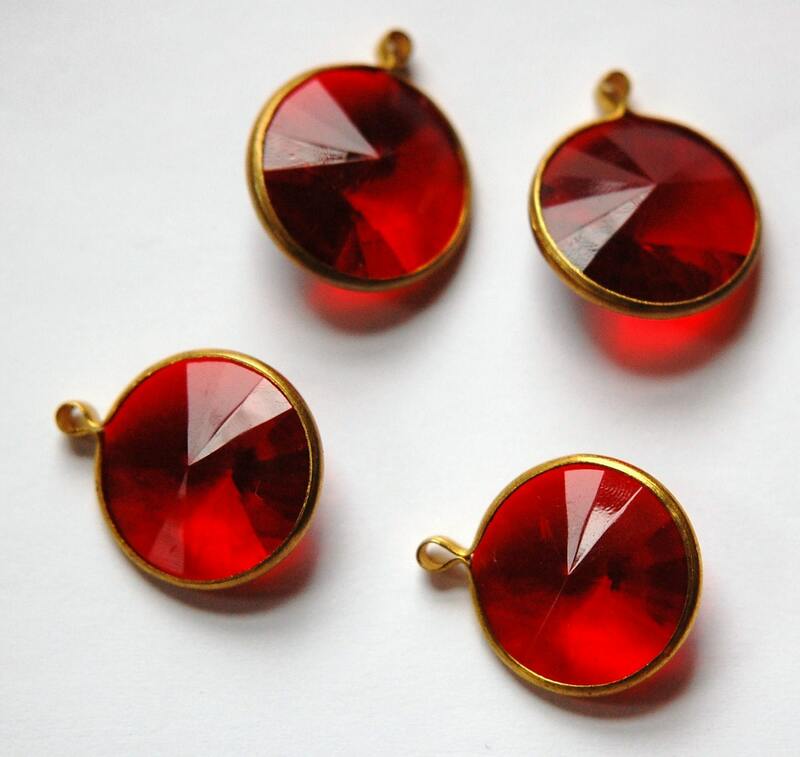 These are vintage acrylic rivoli stones set in a 1 loop brass setting. 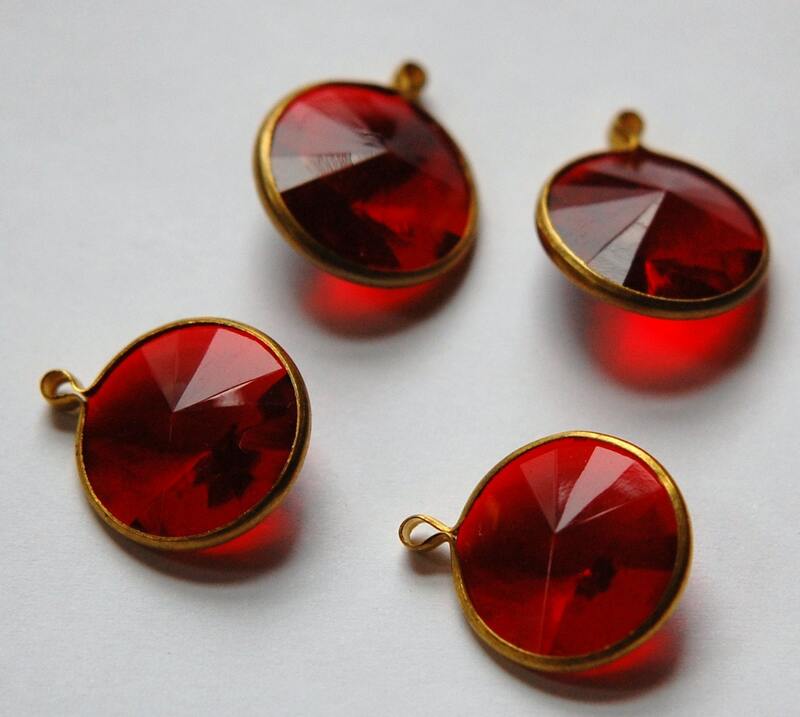 The stones measure 18mm. With loop these measure 22mm long. You will receive 4 pieces. I have these in other colors and also with 2 loops.